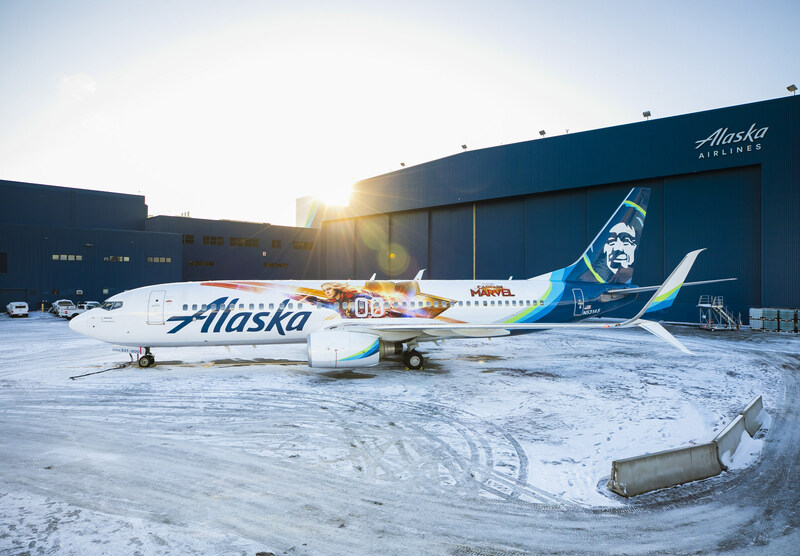 SEATTLE, Feb. 5, 2019 /PRNewswire/ — Ahead of the highly-anticipated release of Marvel Studios’ Captain Marvel on March 8, International Women’s Day, Alaska Airlines unveiled a special-edition plane today, featuring Marvel Studios’ first female Super Hero lead. The Captain Marvel-themed plane was debuted today at Sea-Tac International Airport at a gate celebration for guests flying to Orange County, California. Marvel Studios fans can follow Alaska Airlines on Twitter and on Facebookto learn about the promotions related to the new film. From Feb. 6-9, Alaska Airlines social fans and followers can enter for a chance to win one pair of tickets to the premiere of Marvel Studios’ Captain Marvel, including roundtrip airfare and hotel accommodations for two in Los Angeles. Terms and conditions are available online.